The establishment of an annual Women in Engineering Day (which takes place tomorrow, Friday, June 23) is intended to celebrate women who have careers in engineering. In particular, this celebration is aimed at giving women engineers a profile so that girls can see the amazing careers in engineering and technical roles that are available for them. The need for such elevation of women’s role in engineering is acute because, at eight per cent, the proportion of women in UK professional engineering roles is the lowest in Europe. 14 per cent. Disengagement from engineering as a career option appears to accelerate at the end of girls’ school careers, with take-up for the GCSEs particularly associated with engineering careers (maths and physics) being broadly even between the sexes. By A level, however, the proportion of physics students that are female is only 22 per cent while for further maths the figure is 28 per cent. This disengagement of the greater part of one of the sexes from considering engineering careers makes filling the growing skills gap in the sector very difficult. The young people, particularly young women, who make early decisions against these subjects are cutting themselves off from a wide range of lucrative and satisfying engineering careers. 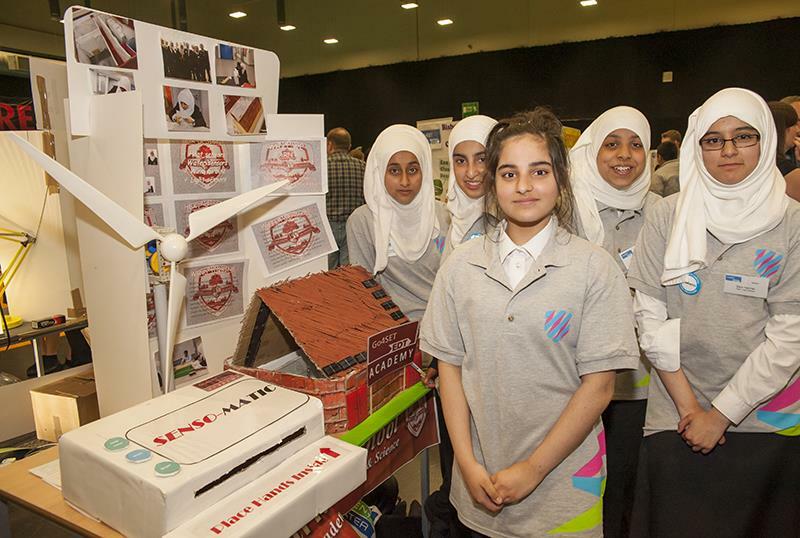 So, what are the factors that turn girls against engineering and how can we tackle them? One reason for the “knock back” in numbers of girls taking physics A level seems to be associated with a perception that it is a hard subject that is more suited for boys. It is surprising to learn from research by Kings College London that some teachers may still present A level physics as something that requires a “boy brain”. This is a myth that clearly must be addressed and actively dispelled. The Institute of Physics (IoP) continues to do excellent work in education and is seeing some changes in attitudes as a result – it is worth teachers plugging into their resources and ideas. There is also an issue that some girls don’t want to end up as the only girl in a physics class. If overall proportions can be moved upwards this will be less of an issue but, in the meantime, it is worth teachers having in mind that this is a real, though possibly unspoken, concern that they can try to deal with through reassurance and proactive approaches. It is a great shame if promising potential engineering careers were halted at first base because of such an issue. Role-model provision and intervention continue to be vital in challenging all forms of stereotyping. In the absence of an abundance of women physicists in the media, teachers can make use of Women in Engineering Day publicity and activities to make the link that all these successful women engineers will have a background in maths and physics. This failure to see school science subjects as leading to good careers is linked with wider issues of the perception of engineering by young people. Evidence suggests that students regularly undervalue engineering salaries, with around 40 per cent rating engineering as poor or averagely paid while it is in fact one of the top paying career paths. These perceptions are influenced by parents and teachers who typically underestimate a professional engineer’s salary by a third. A chartered engineer earns on average a salary of £68,500. Teachers can help the engineering sector to communicate its benefits and opportunities more effectively. A report from the Institution of Mechanical Engineers emphasises the need for the engineering sector to talk less about its products and to reposition engineering as being a people-focused, problem-solving, and socially beneficial discipline. This emphasis could help the appeal of engineering to girls. If teachers pick up and regularly use similar language about engineering, and use engineering examples of the value of STEM disciplines, this will contribute to changes in perception. Research conclusions around career aspirations are particularly concerning. City and Guilds research has revealed a poor match for all students between career aspirations and actual opportunities projected in the 2020 jobs market. The young people’s range of job aspirations represented only 34 per cent of the roles that were anticipated to be available in 2020 for these students. The jobs that they most frequently aspired to were either those that the young people would be commonly exposed to, or ones that they may have seen in media presentations. This distortion meant that some 9,000 girls took up Level 2 Apprenticeships in hairdressing in the UK in 2013/14 while only 80 girls took up Apprenticeships at the same level in engineering. It is clear that a range of factors need to be addressed to arrest the tendency of girls to reject or not consider engineering as a career option, or simply to reject the subjects at post-16 that would qualify them for an engineering career. We need to enable them to see engineering as a career that is rewarding and attractive for women as well as men. We need to help them understand what engineering involves and to visualise themselves in such a career. Evidence suggests that such factors can be effectively tackled through consistent provision of STEM activities such as tasters, placements or projects to young people at secondary and primary levels. Multiple interventions in a school like are required to change hearts and minds. Teachers will be aware that there are a dizzying range of options, with the Royal Academy of Engineering finding that more than 600 organisations seek to engage schools in STEM education. It is important that the abundance of choice doesn’t paralyse the decision to engage with enrichment and supported work experience activities, as this is a crucial route for opening options to young people. My own organisation, EDT, has been delivering STEM programmes for 30 years, but perhaps it is more helpful if I signpost teachers to an accreditation that we are involved in. Industrial Cadets (inspired by the Prince of Wales) is a national accreditation of workplace experience activities, with particular relevance to STEM careers. Business/school engagements of many kinds, from different types of organisation, are accredited at different levels based on the degree of skills development, duration and careers awareness contained within the activity. The award levels ensure that quality experiences including tasters, projects and placements are formally recognised with a national standard. The awards gained by students provide motivation and recognition of their employability and personal learning and thinking skills. Schools can use the accreditation to ensure that a proposed business engagement will be effective in providing the inputs that students need to improve their employability and their understanding of career paths. These sort of enrichment/enhancement experiences are very influential in changing attitudes and aspirations. However, even if teachers are not involved in such activities there are many ways they can promote engineering engagement simply by the way they talk about engineering and the subjects that lead to engineering careers, by supporting students in their decision-making, or simply by highlighting some of the women engineers celebrated on Women in Engineering Day. Former teacher Mark Williams is the education director for national education charity EDT (The Engineering Development Trust), which focuses on encouraging young people into employment.